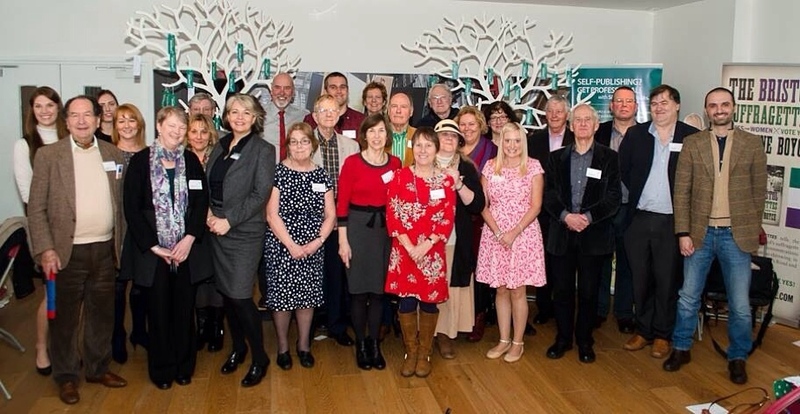 We happy bunch – the ‘class photo’ from the Open Day at Foyles, Bristol that I wrote about here. I’m at the back in the centre. 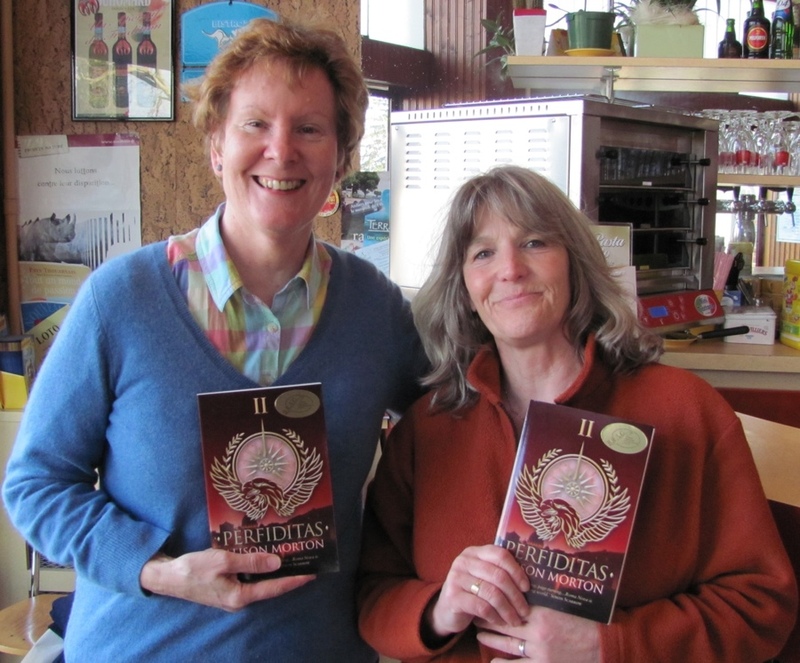 The day after I heard PERFIDITAS had been awarded a B.R.A.G.Medallion®, I shared the news with Jan Smith our local paperback vendor. Here we are in the Bar de la Paix where our local book club meets.